One of the most visible aspects of our society is the combative activities. 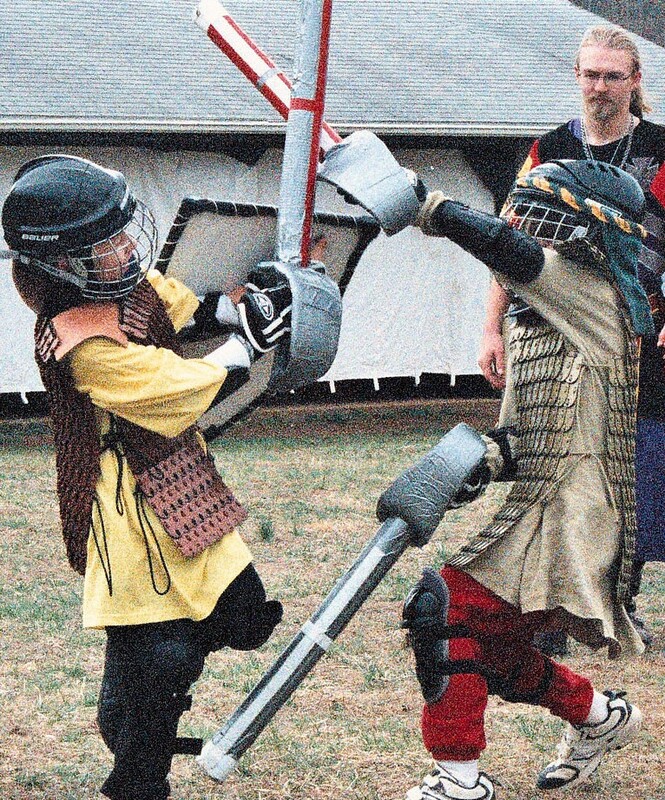 These range from youth combat (boffer) to full contact, blunt steel weapons (cut and thrust). Though these activities look dangerous and violent each participant meets and/or exceeds strict armor standards and a code of contact. A new participant is trained and then tested to ensure they are safe and properly equipped prior to entering a sanctioned fight. 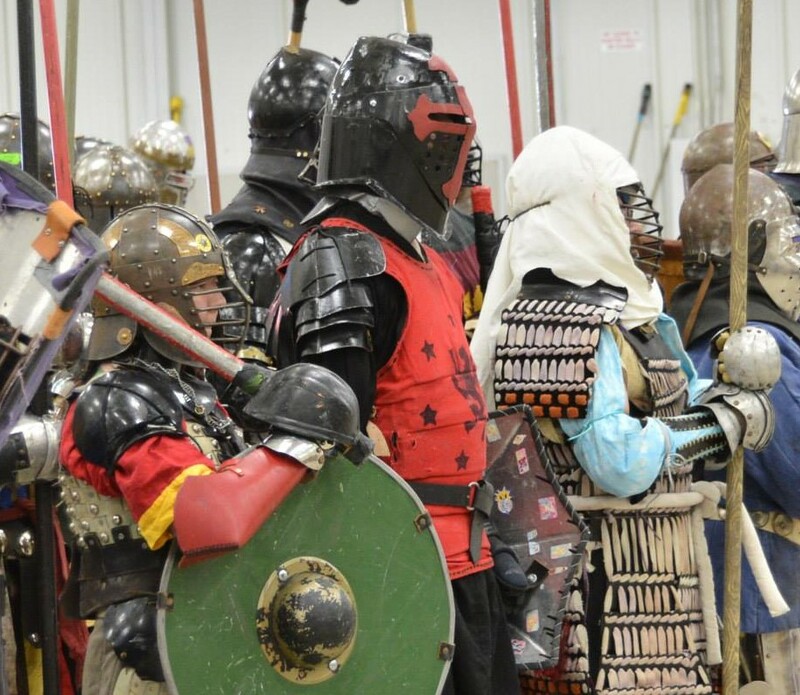 One of the most well-known and widely-enjoyed activities in the SCA is armored combat. 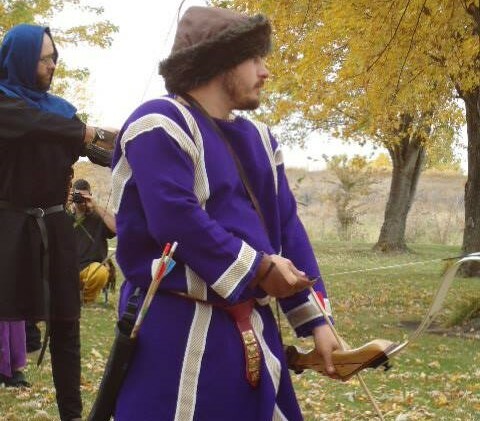 Our warriors participate in tournaments tactical melees, and large scale wars..
Rapier combat in the Society attempts to recreate styles of sword fighting from the later part of the Middle Ages, often based on manual and theories of combat that have survived to this day.. 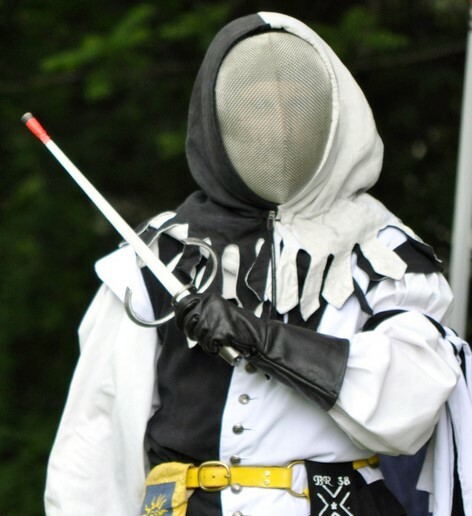 This style of combat could be considered a hybrid of armored and rapier combat that involves stringent protection standards and uses un-sharpened steel blades. One of the most important skills throughout the time frame that we recreate, archery was used for hunting, practice, and especially war. 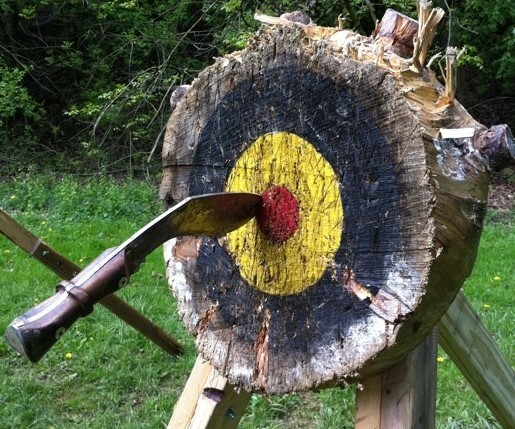 At many Society events, you can find opportunities to try throwing common medieval weapons such as axes, knives, and spears, all in a safe, monitored environment..
also known as boffer combat. We have three divisions of youth combat with each level increasing with age. With the safety of the participants being our highest priority.